In the last post, we looked at how SEO has always been changing, but one thing remains constant - the quest for information. Given people will always be on a quest for information, and given there is no shortage of information, but there is limited time, then there will always be a marketing imperative to get your information seen either ahead of the competition, or in places where the competition haven’t yet targeted. My take on SEO is broad because I’m concerned with the marketing potential of the search process, rather than just the behaviour of the Google search engine. We know the term SEO stands for Search Engine Optimization. It’s never been particularly accurate, and less so now, because what most people are really talking about is not SEO, but GO. Still, the term SEO has stuck. The search channel used to have many faces, including Alta Vista, Inktomi, Ask, Looksmart, MSN, Yahoo, Google and the rest, hence the label SEO. Now, it’s pretty much reduced down to one. Google. Okay, there’s BingHoo, but really, it’s Google, 24/7. We used to optimize for multiple search engines because we had to be everywhere the visitor was, and the search engines had different demographics. There was a time when Google was the choice of the tech savvy web user. These days, “search” means “Google”. You and your grandmother use it. But people don’t spend most of their time on Google. The techniques for SEO are widely discussed, dissected, debated, ridiculed, encouraged and we’ve heard all of them, many times over. And that’s just GO. The audience we are trying to connect with, meanwhile, is on a quest for information. On their quest for information, they will use many channels. So, who is Google’s biggest search competitor? Bing? Yahoo? An important point. For the user, it’s all about “getting information”. In SEO, verticals are often overlooked. I'm going to digress a little....how do you select clients, or areas to target? I like to start from the audience side of the equation. Who are the intended audience, what does that audience really need, and where, on the web, are they? I then determine if it’s possible/plausible to position well for this intended audience within a given budget. There is much debate amongst SEOs about what happens inside the Google black box, but we all have access to Google’s actual output in the form of search results. To determine the level of competition, examine the search results. Go through the top ten or twenty results for a few relevant keywords and see which sites Google favors, and try to work out why. Once you look through the results and analyze the competition, you’ll get a good feel for what Google likes to see in that specific sector. Are the search results heavy on long-form information? Mostly commercial entities? Are sites large and established? New and up and coming? Do the top sites promote visitor engagement? Who links to them and why? Is there a lot news mixed in? Does it favor recency? Are Google pulling results from industry verticals? It’s important to do this analysis for each project, rather than rely on prescriptive methods. Why? Because Google treats sectors differently. What works for “travel” SEO may not work for “casino” SEO because Google may be running different algorithms. Once you weed out the wild speculation about algorithms, SEO discussion can contain much truth. People convey their direct experience and will sometimes outline the steps they took to achieve a result. However, often specific techniques aren't universally applicable due to Google treating topic areas differently. So spend a fair bit of time on competitive analysis. Look closely at the specific results set you’re targeting to discover what is really working for that sector, out in the wild. It’s at this point where you’ll start to see cross-overs between search and content placement. You could try and rank for term X, and you could feature on a site that is already ranked for X. Perhaps Google is showing a directory page or some industry publication. Can you appear on that directory page or write an article for this industry publication? What does it take to get linked to by any of these top ten or twenty sites? Once search visitors find that industry vertical, what is their likely next step? Do they sign up for a regular email? Can you get placement on those emails? Can you get an article well placed in some evergreen section on their site? Can you advertise on their site? Figure out how visitors would engage with that site and try to insert yourself, with grace and dignity, into that conversation. 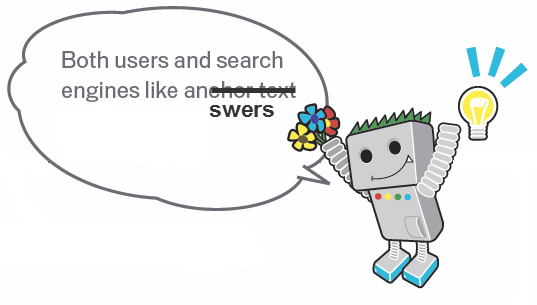 Users may by-pass Google altogether and go straight to verticals. If they like video then YouTube is the obvious answer. A few years ago when Google was pushing advertisers to run video ads they pitched YouTube as the #2 global search engine. What does it take to rank in YouTube in your chosen vertical? Create videos that will be found in YouTube search results, which may also appear on Google’s main search results. With 200,000 videos uploaded per day, more than 600 years required to view all those videos, more than 100 million videos watched daily, and more than 300 million existing accounts, if you think YouTube might not be an effective distribution channel to reach prospective customers, think again. There's a branding parallel here too. If the field of SEO is too crowded, you can brand yourself as the expert in video SEO. There’s also the ubiquitous Facebook. Facebook, unlike the super-secret Google, has shared their algorithm for ranking content on Facebook and filtering what appears in the news feed. The algorithm consists of three components….. If you’re selling stuff, then are you on Amazon? Many people go directly to Amazon to begin product searches, information gathering and comparisons. Are you well placed on Amazon? What does it take to be placed well on Amazon? What are people saying? What are their complaints? What do they like? What language do they use? All fairly obvious, but may help you think about channels and verticals more, rather than just Google. The appropriate verticals and channels will be different for each market sector, of course. And they change over time as consumer tastes & behaviors change. At some point each of these were new: blogging, Friendster, MySpace, Digg, Facebook, YouTube, Twitter, LinkedIn, Instagram, Pinterest, Snapchat, etc. This approach will also help us gain a deeper understanding of the audience and their needs - particularly the language people use, the questions they ask, and the types of things that interest them most - which can then be fed back into your search strategy. Emulate whatever works in these verticals. Look to create a unique, deep collection of insights about your chosen keyword area. This will in turn lead to strategic advantage, as your competition is unlikely to find such specific information pre-packaged. This could also be characterised as “content marketing”, which it is, although I like to think of it all as “getting in front of the visitors quest for information”. Wherever the visitors are, that’s where you go, and then figure out how to position well in that space. SEO is subject to frequent change, but in the last year or two, the changes feel both more frequent and significant than changes in the past. Florida hit in 2003. Since then, it’s like we get a Florida every six months. Whenever Google updates the underlying landscape, the strategies need to change in order to deal with it. No fair warning. That’s not the game. There used to be a time when SEOs followed a standard prescription. Many of us remember a piece of software called Web Position Gold. Web Position Gold emerged when SEO could be reduced to a series of repeatable - largely technical - steps. Those steps involved adding keywords to a page, repeating those keywords in sufficient density, checking a few pieces of markup, then scoring against an “ideal” page. Upload to web. Add a few links. Wait a bit. Run a web ranking report. Viola! You’re an SEO. In all but the most competitive areas, this actually worked. Seems rather quaint these days. These days, you could do all of the above and get nowhere. Or you might get somewhere, but when so many more factors in play, they can’t be isolated to an individual page score. If the page is published on a site with sufficient authority, it will do well almost immediately. If it appears on a little known site, it may remain invisible for a long time. We are susceptible to index spammers who could harm the integrity of our web search results. There is an ongoing and increasing effort by “index spammers” to develop ways to manipulate our web search results. For example, because our web search technology ranks a web page’s relevance based in part on the importance of the web sites that link to it, people have attempted to link a group of web sites together to manipulate web search results. We take this problem very seriously because providing relevant information to users is critical to our success. If our efforts to combat these and other types of index spamming are unsuccessful, our reputation for delivering relevant information could be diminished. This could result in a decline in user traffic, which would damage our business. SEO competes with the Adwords business model. So, Google “take very seriously” the activities of those who seek to figure out the algorithms, reverse engineer them, and create push-button tools like Web Position Gold. We’ve had Florida, and Panda, and Penguin, and Hummingbird, all aimed at making the search experience better for users, whilst having the pleasant side effect, as far as Google is concerned, of making life more difficult for SEOs. I think the key part of Google’s statement was “delivering relevant information”. SEO will always involve technical aspects. You get down into code level and mark it up. The SEO needs to be aware of development and design and how those activities can affect SEO. The SEO needs to know how web servers work, and how spiders can sometimes fail to deal with their quirks. But in the years since Florida, marketing aspects have become more important. An SEO can perform the technical aspects of SEO and get nowhere. More recent algorithms, such as Panda and Penguin, gauge the behaviour of users, as Google tries to determine information quality of pages. Hummingbird attempts to discover the intent that lays behind keywords. As a result, Keyword-based SEO is in the process of being killed off. Google withholds keyword referrer data and their various algorithms attempt to deliver pages based on a users intent and activity - both prior and present - in order to deliver relevant information. Understanding the user, having a unique and desirable offering, and a defensible market position is more important than any keyword markup. The keyword match, on which much SEO is based, is not an approach that is likely to endure. The emphasis has also shifted away from the smaller operators and now appears to favour brands. This occurs not because brands are categorized as “brands”, but due to the side effects of significant PR activities. Bigger companies tend to run multiple advertising and PR campaigns, so produce signals Google finds favorable i.e. search volume on company name, semantic associations with products and services, frequent links from reputable media, and so on. This flows through into rank. And it also earns them leeway when operating in the gray area where manual penalties are handed out to smaller & weaker entities for the same activities. Apparently, Google killed off toolbar PageRank. We will probably not going to be updating it [PageRank] going forward, at least in the Toolbar PageRank. A few people noted it, but the news won't raise many eyebrows as toolbar PR has long since become meaningless. Are there any SEOs altering what they do based on toolbar PR? It’s hard to imagine why. The reality is that an external PR value might indicate an approximate popularity level, but this isn’t an indicator of the subsequent ranking a link from such a page will deliver. There are too many other factors involved. If Google are still using an internal PR metric, it’s likely to be a significantly more complicated beast than was revealed in 1997. A PageRank score is a proxy for authority. I’m quite sure Google kept it going as an inside joke. A much more useful proxy for authority are the top ten pages in any niche. Google has determined all well-ranking pages have sufficient authority, and no matter what the toolbar, or any other third-party proxy, says, it’s Google’s output that counts. A link from any one of the top ten pages will likely confer a useful degree of authority, all else being equal. It’s good marketing practice to be linked from, and engage with, known leaders in your niche. That’s PR, as in public relations thinking, vs PR (Page rank), technical thinking. The next to go will likely be keyword-driven SEO. Withholding keyword referral data was the beginning of the end. Hummingbird is hammering in the nails. Keywords are still great for research purposes - to determine if there’s an audience and what the size of that audience may be - but SEO is increasingly driven by semantic associations and site categorizations. It’s not enough to feature a keyword on a page. A page, and site, needs to be about that keyword, and keywords like it, and be externally recognized as such. In the majority of cases, a page needs to match user intent, rather than just a search term. There are many exceptions, of course, but given what we know about Hummingbird, this appears to be the trend. People will still look at rank, and lust after prize keywords, but really, rankings have been a distraction all along. Reach and specificity is more important i.e. where’s the most value coming from? The more specific the keyword, typically the lower the bounce rate and the higher the conversion rate. The lower the bounce-rate, and higher the conversion rate, the more positive signals the site will generate, which will flow back into a ranking algorithm increasing being tuned for engagement. Ranking for any keyword that isn’t delivering business value makes no sense. There are always exceptions. But that’s the trend. Google are looking for pages that match user intent, not just pages that match a keyword term. In terms of reach, you want to be everywhere your customers are. To adapt to change, SEOs should think about search in the widest possible terms. A search is quest for information. It may be an active, self-directed search, in the form of a search engine query. Or a more passive search, delivered via social media subscriptions and the act of following. How will all these activities feed into your search strategy? Soon after Peretti had turned his attention to BuzzFeed full-time in 2011, after leaving the Huffington Post, BuzzFeed took a hit from Google. The site had been trying to focus on building traffic from both social media marketing and through SEO. But the SEO traffic — the free traffic driven from Google’s search results — dried up. Reach is important. Topicality is important. Freshness, in most cases, is important. Engagement is important. Finding information is not just about a technical match of a keyword, it’s about an intellectual match of an idea. BuzzFeed didn’t take their eye off the ball. They know helping users find information is the point of the game they are in. And the internet has only just begun. In terms of the internet, nothing has happened yet. The internet is still at the beginning of its beginning. If we could climb into a time machine and journey 30 years into the future, and from that vantage look back to today, we’d realize that most of the greatest products running the lives of citizens in 2044 were not invented until after 2014. People in the future will look at their holodecks, and wearable virtual reality contact lenses, and downloadable avatars, and AI interfaces, and say, oh, you didn’t really have the internet (or whatever they’ll call it) back then. In 30 years time, people will still be on the exact same quest for information. The point of SEO has always been to get your information in front of visitors, and that’s why SEO will endure. SEO was always a bit of a silly name, and it often distracts people from the point, which is to get your stuff seen ahead of the rest. Some SEOs have given up in despair because it’s not like the old days. It’s becoming more expensive to do effective SEO, and the reward may not be there, especially for smaller sites. However, this might be to miss the point, somewhat. In the next few articles, we’ll look at the specifics of how.